However, with the Greek economy entering its seventh year of recession, Tsipras praised the 1.5-billion-euro TAP investment – which will transport gas from Azerbaijan through Turkey into Greece, Albania and across the Adriatic Sea to Italy – as a project that will bring 8,000 jobs to the country. 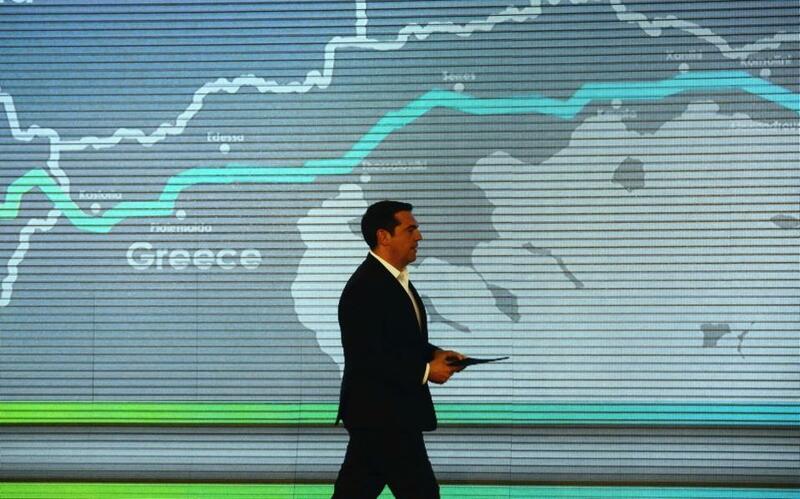 “TAP is one of the greatest direct foreign investment projects in Greece,” he said during the launch ceremony in Thessaloniki, adding that it will turn the country into an “energy bridge” for the wider region when it is completed in 2019. Government sources denied late on Tuesday that SYRIZA had opposed TAP when it was in the opposition, saying it had called for a multifaceted energy policy beyond TAP. “As the government, SYRIZA improved the terms of the TAP deal, while promoting a multidimensional energy policy,” the sources said. TAP will be linked to two other pipelines to form the Southern Gas Corridor – the 1,850-kilometer Trans Anatolian Natural Gas Pipeline (TANAP), which is scheduled for completion by 2018, and the South Caucasus Pipeline (SCP) that connects Turkey through Georgia to the Caspian Sea and the Azeri gas fields. The US Department of State special envoy and coordinator for international energy affairs, Amos Hochstein, and European Commission Vice President Maros Sefcovic, who attended the signing ceremony, praised the deal, as both Brussels and Washington seek to reduce the energy dependence of Western and Southeastern Europe on Russia. “TAP will be a major asset in the European energy security tool box,” Sefcovic said, while Hochstein stressed that it will contribute to the energy security of the wider region.